Get a great value for everyday business printing. HP LaserJet toner cartridges help you print professional quality reports, letters and invoices with ease. 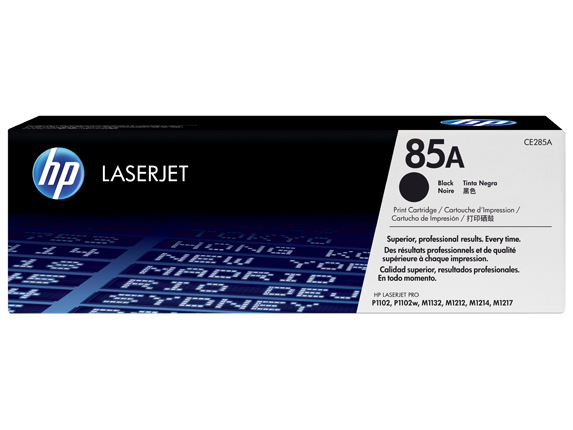 HP 85A Black LaserJet Toner Cartridge. Get a great value for everyday business printing. Produce bold, crisp text and sharp images. Easy to use, easy to recycle. Install in a snap—HP’s all-in-one cartridge design makes replacing a toner cartridge quick and easy. Get a great value for everyday business printing. HP LaserJet toner cartridges help you print professional quality reports, letters and invoices with ease.